Heat oven to 400°F. Grease bottoms only of 12 regular-size muffin cups with shortening or cooking spray, or line with paper baking cups. In large bowl, mix milk, brown sugar, oil and egg. Stir in Bisquick mix and oats just until moistened. Fold in blueberries. Divide batter evenly among muffin cups. Use Bisquick Heart Smart® mix. Substitute fat-free (skim) milk for the milk and 2 egg whites or 1/4 cup fat-free egg product for the egg. 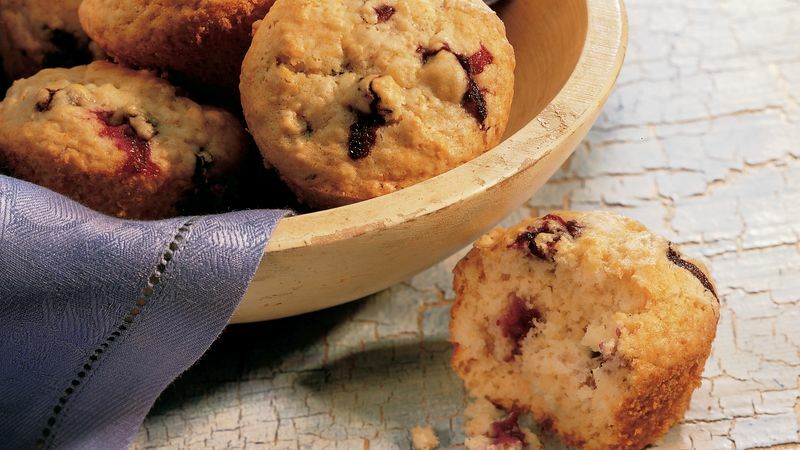 For Cranberry-Oat Muffins, use fresh, frozen or dried cranberries instead of the blueberries. For nicely shaped muffins, grease only the bottoms of the muffin cups, using either shortening or cooking spray.